Sinchi Tribe & pllek present the European premiere of More Than a Pipeline. 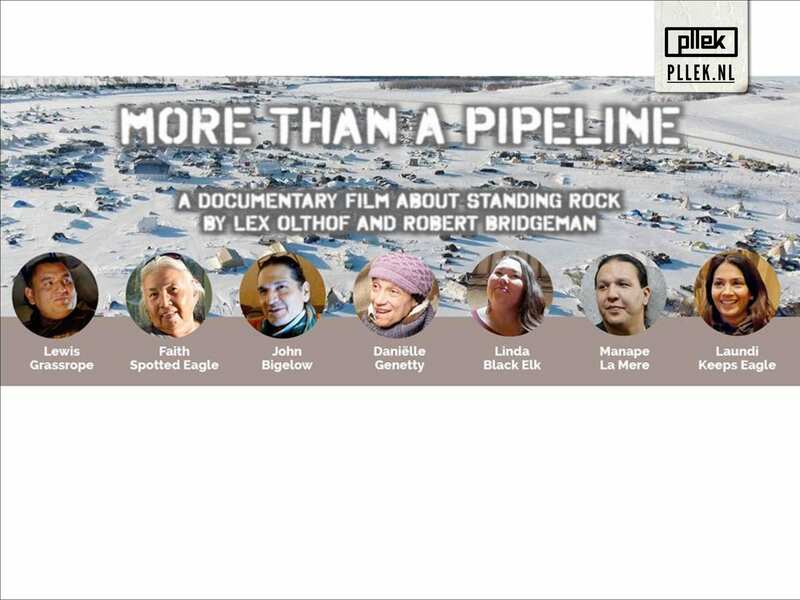 The film tells the story of the Sioux Nations fighting against 500 years of suppression at the hands of the US government, from the viewpoint of some of the key figures within the Standing Rock movement. 21:00 – 21:30 Q&A with the makers Robert Bridgeman / Lex Olthof & Chief of the Oceti Sakowin Camp Akicita Hoksida. A few thousand Sioux Indians were standing there (together with members of mostly all of the larger tribes from the US) protesting peacefully against the construction of the North Dakota Access Pipeline through their land. Why? Standing Rock is a natural reservation protected by law, a natural source of water and holy ground for the Sioux, at risk of being severely contaminated, for the sake of big oil companies and Texan Energy Transfer Partners with a 38% interest in DAPL. The Sioux were facing an overwhelming police force who tried to entrap the peaceful ‘Water protectors’ by using teargas, water cannons and rubber bullets, to provoke them to aggression which would be a reason to arrest them. Robert Bridgeman is founder of the Robert Bridgeman Foundation and calls himself an inspirer. Being a specialist in the process of inner healing, increasing self-awareness, awakening and strengthening spiritual wisdom, he is connected to the prestigious “Search Inside Yourself Leadership Institute” in San Fransisco, a collaboration between Google and Stanford University to bring Mindfulness to businesses. Robert has written four books and two e-books on awareness and has recently published his fifth book, ‘Transformative coaching’. Through the Bridgeman Academy, Robert, his wife Monique and their team educate Transformation coaches through the Bridgeman method of love, wisdom and compassion.